…and the world’s your oyster. Oh, wow. I am months behind on blogging our trip to Thailand and Cambodia! I blinked, and one quarter of 2019 flew by in an instant, so here we are in April and Chris and I are busier than ever. Before all of the trip details become a blissful blur, I should definitely get a post written even if it has to be a short and sweet photo essay of sorts. I heard advice from many travelers that a trip to Thailand without at least some time in Bankgok is incomplete, so we spent the first three nights of our itinerary in the Big Mango. 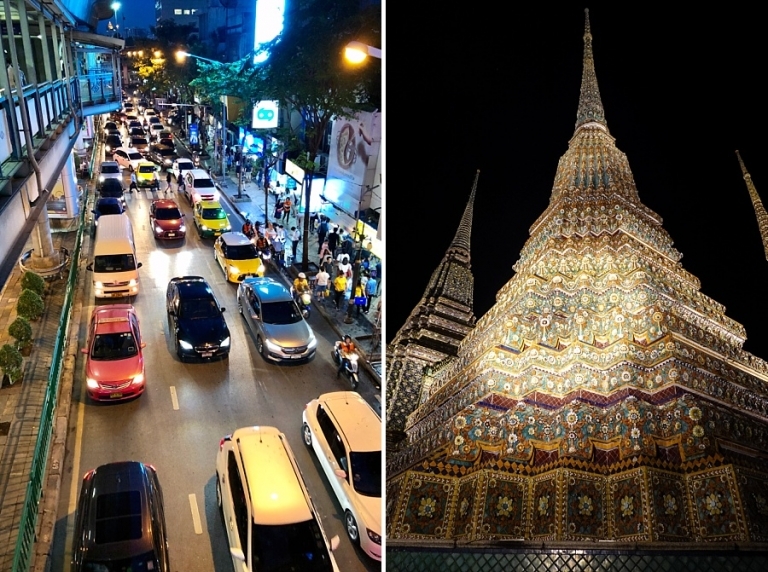 I don’t know what would have felt like enough time to really get to know the action-packed Thai capital, but three nights definitely wasn’t it. 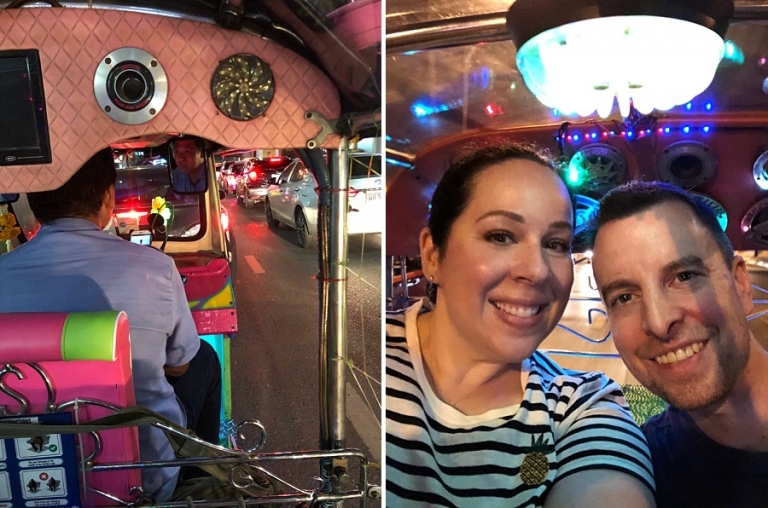 We successfully hit some big highlights though including several of the must-see temples, a food tour (my favorite way to get to know a city), the flower market, a floating market, and some Muay Thai boxing. 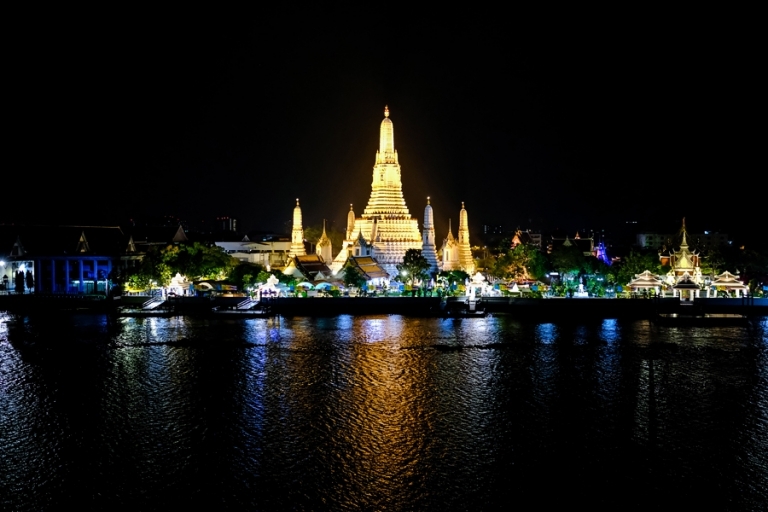 The frenetic feel of the city overcame us the minute we arrived and Bangkok kept the same intensity throughout our stay, day and night, but the calm oasis of our hotel helped soothe us wary travelers after each day of exploring. And they had such an amazing breakfast spread. If we ever have the opportunity to return someday, I’d stay there again in a heartbeat. 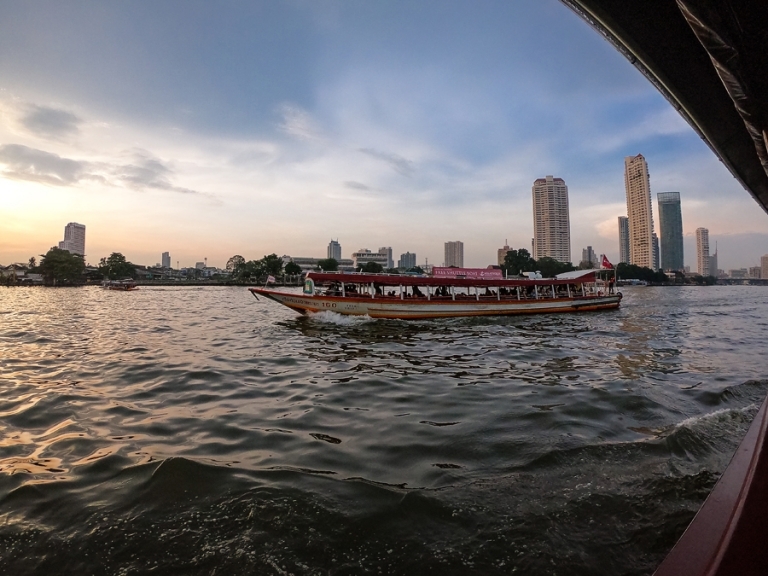 We managed to try just about every mode of transportation – tuk tuk, BTS skytrain, MRT subway, longtail boat, and Chao Phraya River Express Boat. Bangkok is about as sprawling as a large metropolitan area can get, but their public transport system is impressive and was fairly easy for us to navigate. I feel like we were able to cover quite a lot of ground during our short stay. And now, because a slew of pictures is worth more than a few hundred words (and because I think this will be the quickest way for me to get caught up on posts), here are some of our favorite images from our favorite moments in Bangkok.